Visualization is the formation of mental visuals. Visuals are iconic representations of what is being perceived. They are a blend of text, illustrations, and color. Do you remember any incident when you learned better through visuals than text? Let’s see an example.If you want to introduce a product to your sales team, what’s the best approach? Will you describe how that product looks? Or will you show them that product or its picture? I am sure you would follow the latter approach since that registers a coherent picture of the product in your reps’ cognition that can be recalled at any given point of time.Just consider the below image! 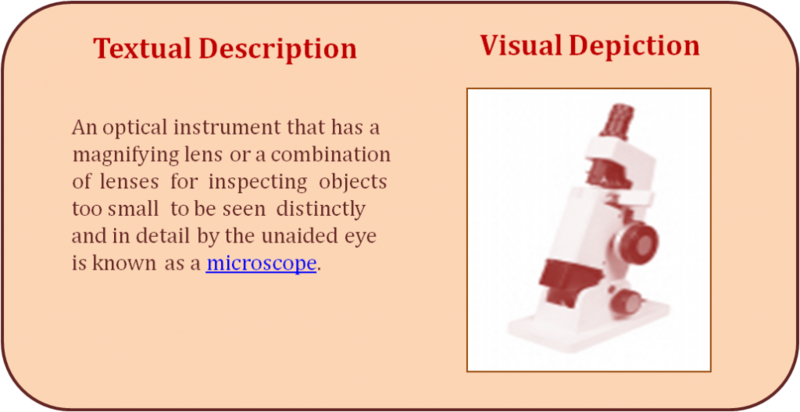 Learners will connect quickly to the image of the microscope than the definition. I am sure when you read an article you just scan through the content and pause only when a compelling visual steals your gaze. Such is the power of visualization. You tend to forget text-heavy articles but not the rich visuals.According to Zabisco, 40% of people will respond better to visual information than plain text. Also, studies reveal that humans remember 10% of what they hear, 20% of what they read,and a whopping 80% of what they see and do.Let us see how visuals contribute to effective learning! As known, long-term memory is where information gets stored for longer periods unlike short-term and working memory,where it lasts for about 18-30 seconds.Since visuals find their way into the long-term memory of learners,you can use them as a medium to deliver the intended content. Visuals are temporarily stored in iconic memory, which acts as a visual sensory memory register, before getting stored in long-term memory. They create a quicker and stronger impact on brain than words. 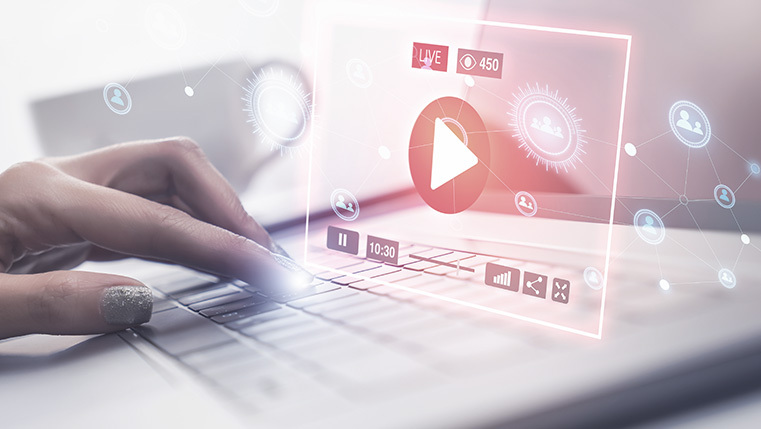 They help learners connect with the content, thereby influencing information retention. The medial temporal lobe of the brain, where emotions are processed, is also home to visual memory encoding . The brain functions in a way that visual stimuli connect with emotional stimuli to form memories. 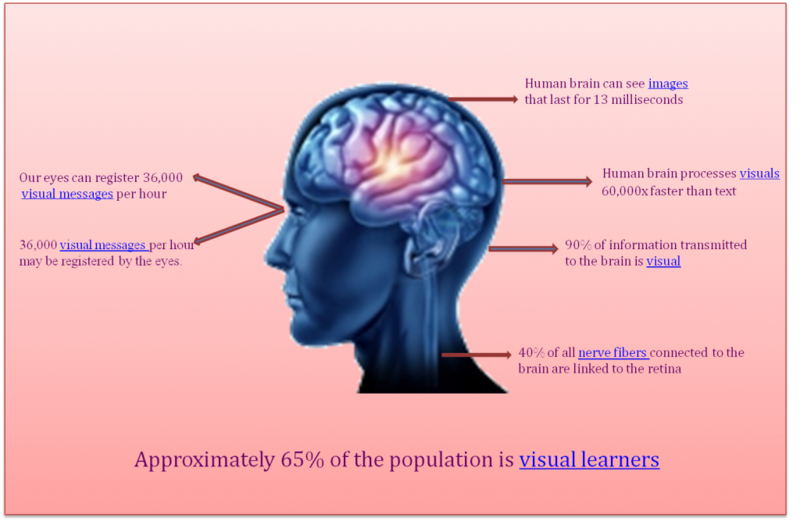 Hence you can combine text with visuals so that your learners recall better for longer periods. It’s human tendency to be more inclined to visuals than words. A visuallingers in your memory longer compared to text.Do you know why? A visual conquers your senses within no time due to its easy to comprehend approach. Moreover, visuals provide respite to learners from the text-heavy content that augments cognitive overload.It curbs text redundancy, thereby appealing to learners and engaging them. This in turn reinforces learning. Leonard Sweet, an American theologian, semiotic an, church historian, pastor, and author has aptly stated that images are the language of the 21st century, not words. Why is an over dose of visuals bad? 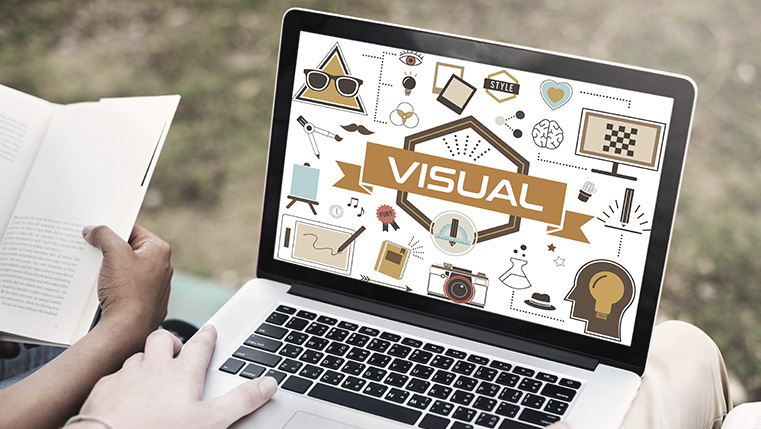 Visuals are effective is a proven fact, but that doesn’t imply they can be used excessively. You need to check what percent of your content needs to be presented visually. Since too much of anything is bad, loading your content with too many visuals can lead learners to distraction. Likewise, the dearth of visuals also fails to engage your learners. So you need to maintain a fine balance between visuals and no visuals. Another aspect you need to focus on while visualization is avoiding the use of visuals that depress learning. When the visuals tell altogether a different tale than the topic being discussed, learners will get disoriented. So, using visuals for the sake of using them adds zero value to your course content and are a big NO. Hence refrain from using decorative visuals that lack imagination and quality . Instead, use images that simplify intricate or abstract ideas. Visuals ought to be vessels that relocate learners from an island of ignorance to the kingdom of knowledge.